CNAs provide basic patient care under the supervision of a licensed nurse. They measure vital signs, set up medical equip, observe patients and report any concerns, make beds, and ensure patients are well-groomed and fed. Some of the personal care tasks that CNAs assist patients with include bathing, dressing, shaving, mouth care, and toileting. CNAs have a primary role in the bedside care and support of patients. Apart from personal grooming, they assist patients with standing, sitting, and walking, and turning bedridden patients to prevent the development of bedsores. CNA programs prepare students with the knowledge and skills to assume these and other tasks. The clinical component of the program emphasizes the development of skills such as measuring and recording patient weight, measuring urinary output, measuring blood pressure, and taking respiration and pulse. A vital part of the CNA’s responsibilities is to provide emotional support to patients and their families. CNAs spend the most time with residents; the bonding and camaraderie with patients can be one of the most rewarding aspects of the job. The time that they spend with patients places CNAs in a position to spot changes in the patients’ condition. Observation is an essential quality that CNAs must have as it could mean the difference between life and death. Just as in the case of nurses and other healthcare professionals, CNAs can make timely interventions and save patients’ lives. Though CNAs obtain immeasurable rewards from caring for patients, the downside may be the intensity of the workload. The job requires long shifts where CNAs spend most of the time standing, lifting, and bending to ensure that patients have all they need. Workplace injuries are not uncommon, and there’s the possibility of hostile encounters with patients. You’ll know if you’re not up to the task. If working as a CNA is not for you, use your training and experience to go back to school to become a registered nurse. 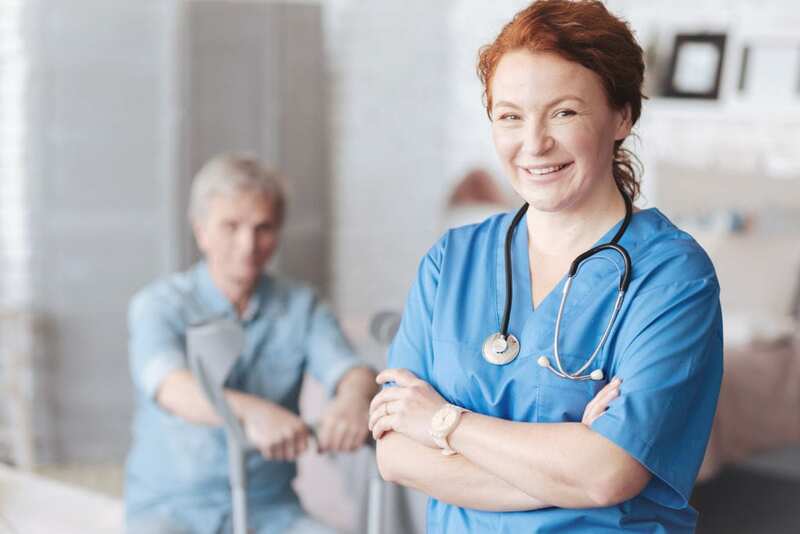 Andrea’s Career Institute’s Nurse Aide training program provides students with the skills to assume an entry-level position as a nurse aide in acute and long-term care facilities. The program format follows the guidelines outlined y the Louisiana Department of Health and Hospitals and the Louisiana Nurse Aide Registry. Course topics include but are not limited to communication and interpersonal relationships, basic nursing skills, personal care, mental health, safety and emergency procedures, infection control, rehabilitation and restorative treatments, and nutrition. 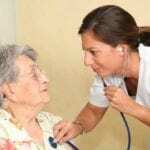 The duration of the program is three weeks and includes two weeks of classroom and lab instruction followed by one week of supervised patient care experiences in a long-term care facility. Graduates are eligible to sit the Nurse Aide Competency Exam for Certificate as a Nurse Aide. New students are admitted on the first Monday of each month. The cost of attendance is $600 and includes registration, course materials, tuition, and supplies. Life Care provides nursing assistant students with the opportunity to prepare for a career as a Certified Nursing Assistant in just three weeks. The program includes two weeks of instruction in the classroom and skills lab (40 hours) and one week of hands-on clinical in a long-term care facility (40 hours). Qualified nurse instructors cover basic nursing skills, nutrition and feeding, anatomy and physiology, medical terminology, infection control, vital signs, personal care, safety and emergency procedures, and end of life care. Students will also complete the training required for CPR certification. At the conclusion of the program, students will take the Louisiana Certification Exam conveniently administered by licensed professionals at Life Care. Daytime and evening schedules are available. Day classes meet Monday through Friday from 9:00 am to 2:30 pm. Evening classes meet Monday through Friday from 4:30 pm to 9:30 pm. The program admits new students every three weeks. Contact the school to find out more about the cost of the program. Through combined classroom and clinical instruction, Nunez Community College prepares students for employment in acute and long-term care facilities. In the classroom, students learn basic nursing skills, body structure and function, bed-making, the role and responsibility of the nurse, laws and ethics that govern practice, nutrition, personal care, death and dying, safety and emergency procedures, infection control, and medical terminology. Students will receive CPR certification. In addition to classroom instruction, students will also participate in patient care activities under the supervision of a licensed nurse instructor. Upon completion of the program, students will be eligible to sit the state exam to be added to the Louisiana Nurse Aide Registry. The duration of the program is one semester. Students earn 7 credit hours that may be transferred to the LPN program. Use the contact information below to learn more about the cost of the program and schedule.